Porcine reproductive and respiratory syndrome (PRRS) is an economically frustrating viral disease of pigs, characterized by severe reproductive failure in pregnant sows and respiratory disorders in piglets and growing pigs. Several research groups around the world have developed PRRSV vaccines. Some of these have been effective; however, owing to the complications that the syndrome presents and the viral evasion of the immune system, vaccines have not always been 100% effective. Biotechnological tools, such as the generation of plant-derived vaccines, offer alternatives to obtain more stable biologics, free of fermentation and cold chains. According to the literature, these vaccines are cost effective. 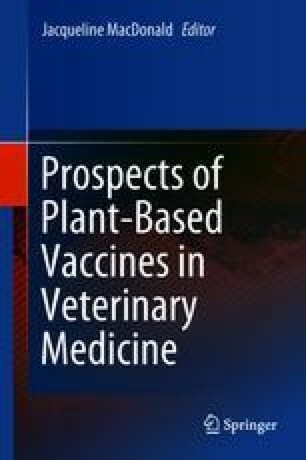 In this document, we present some of the vaccines that have been developed against PRRSV, both traditional and new, and describe some alternatives developed in plants.